We’re thrilled to share that we’re lowering our prices for regular admission at our Toronto location! Effective today, for new bookings made on Thursday November 23rd and onwards, we’ll be offering a discounted rate of $40.00 per person when you book an axe throwing event with us! This applies to all bookings from Sunday – Thursday. That’s a saving of at least $34.00 per group booking which you guys can devote to food and drinks. Book an axe throwing event with us anytime Sunday – Thursday and SAVE! It’s a great way to relieve stress on a weekday evening! The best stress relief , and a very fun activity, might be nerve racking at first but worth it !!!! For just $40.00 (plus tax) per person, a minimum booking of 8 people includes 2.5 – 3 hours of a private axe throwing lane, an incredibly talented axe throwing coach who will teach you how to throw an axe , conduct fun games and host a competitive tournament to crown the ultimate axe throwing champion! We also encourage you to bring your favourite party snacks and drinks. Although, if you’re looking to be catered to, we’ll provide you with a list of our friends who deliver! 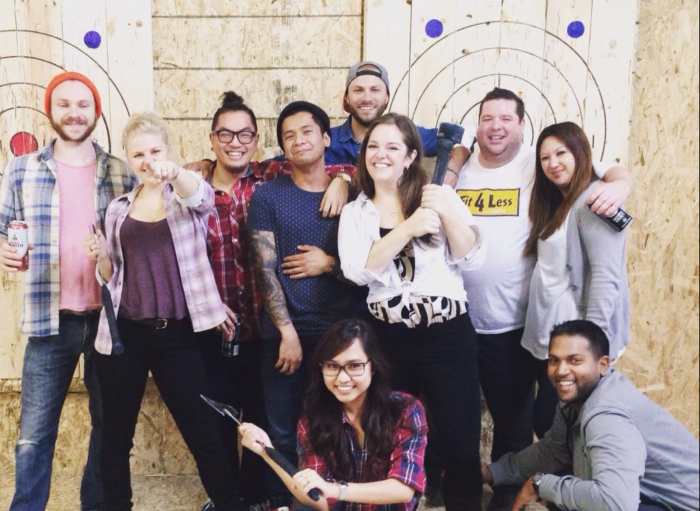 TripAdvisor has rated Bad Axe Throwing Toronto as the #1 thing to do in fun and Games. With the winter season around the corner, booking an indoor axe throwing event is a unique and fun way to stay active during the winter months! Whether you’re looking to celebrate a birthday party, a corporate event, a bachelor or bachelorette party or just a fun evening out we’ll make sure you have an unforgettable experience! For those who have never visited us before, Bad Axe Throwing Toronto is located in the Junction, near Runnymede & St. Clair Avenue West. This makes it a hop, skip and a jump away from a nearby pub or restaurant if you want to keep the party going after your axe throwing event. Book your axe throwing event today! We’re waiting for you! 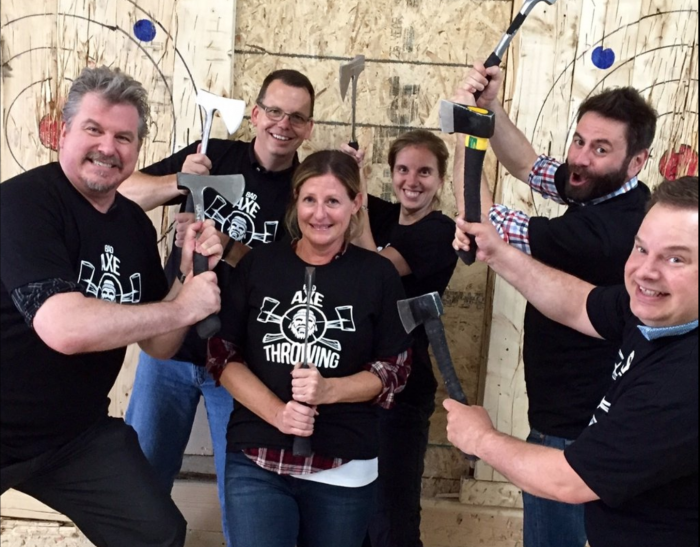 Ottawa Ready for The World Axe Throwing League Championship!